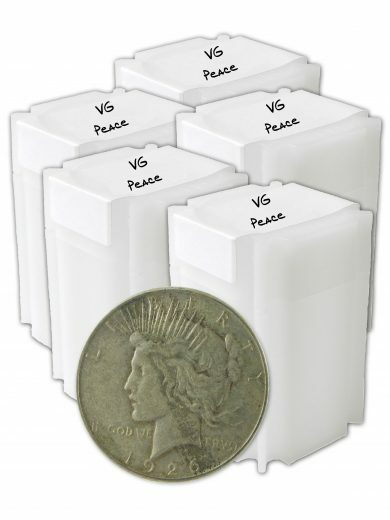 These are Peace Dollars in VG+ condition. 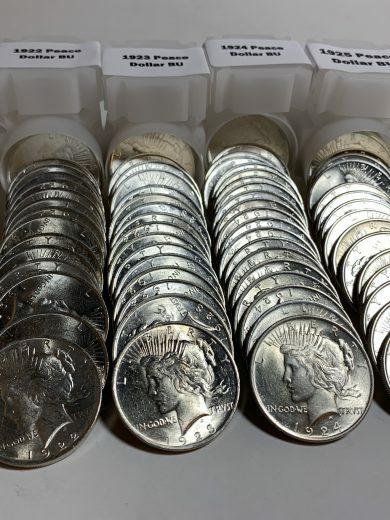 This lot is for 1 coin. 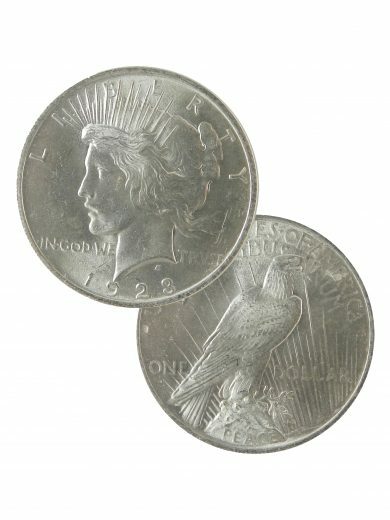 If you choose a quantity of 2, you will purchase 2 coins, etc. 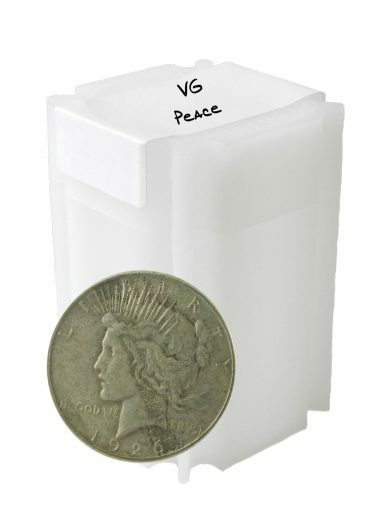 SKU: PeaceVG1. 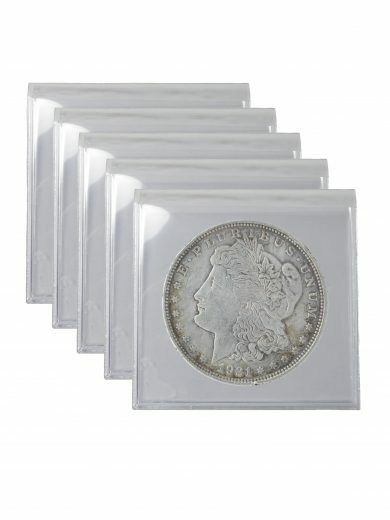 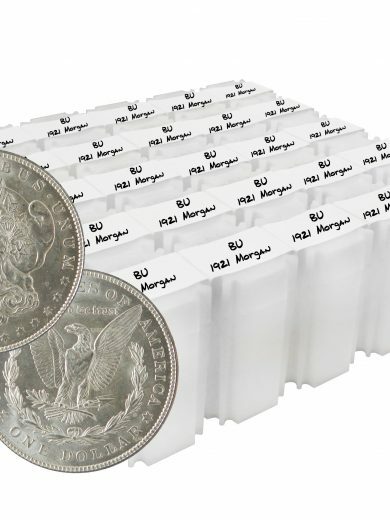 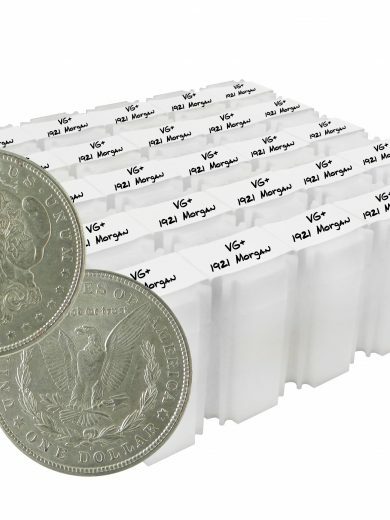 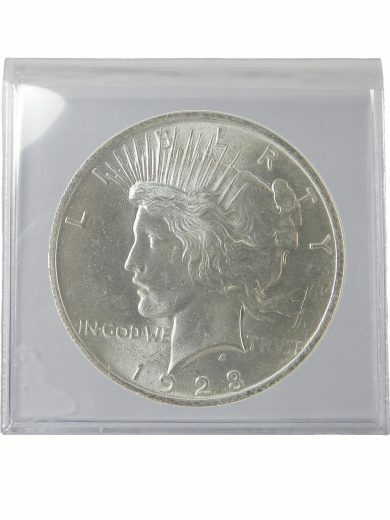 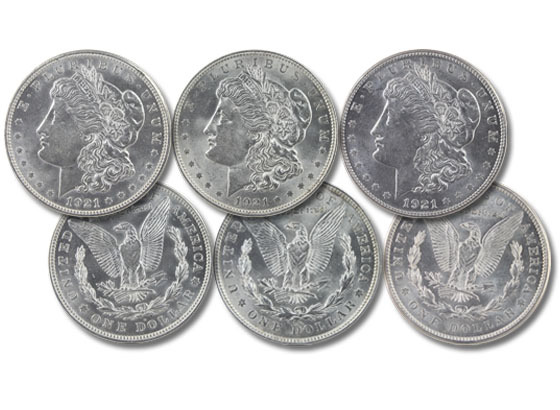 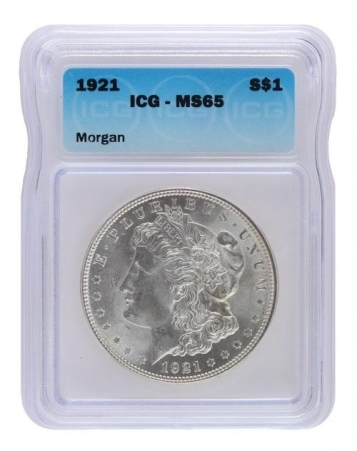 Availability: 950 in stock Size: N/A Categories: Morgan & Peace Dollars, Peace Dollars, Peace Dollar VG+. 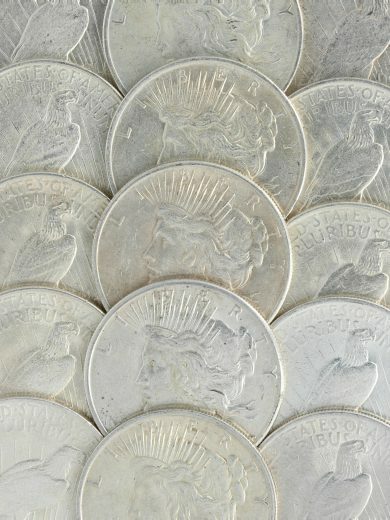 Tags: low premium, Silver Dollar. 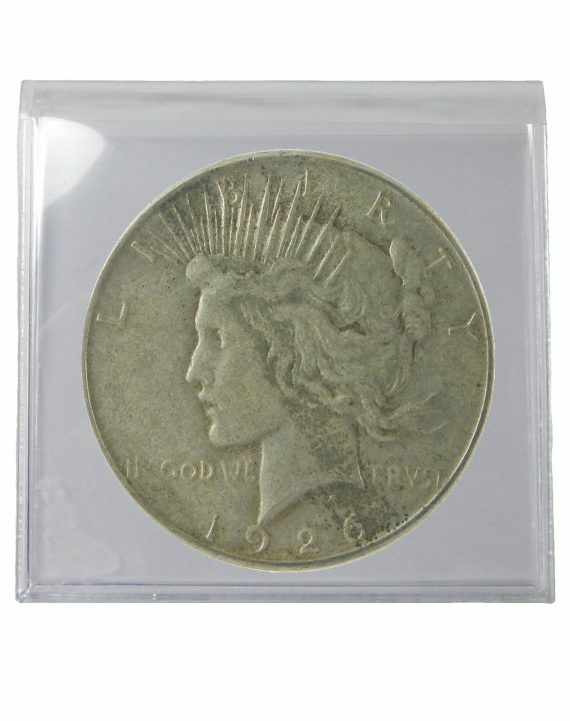 The Peace Dollar is a United States minted silver dollar with mintage dates of 1921 through 1928, 1934 and 1935. 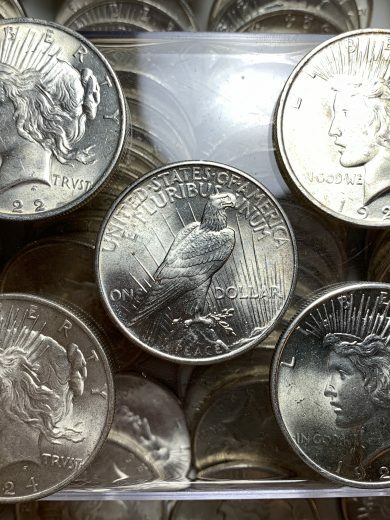 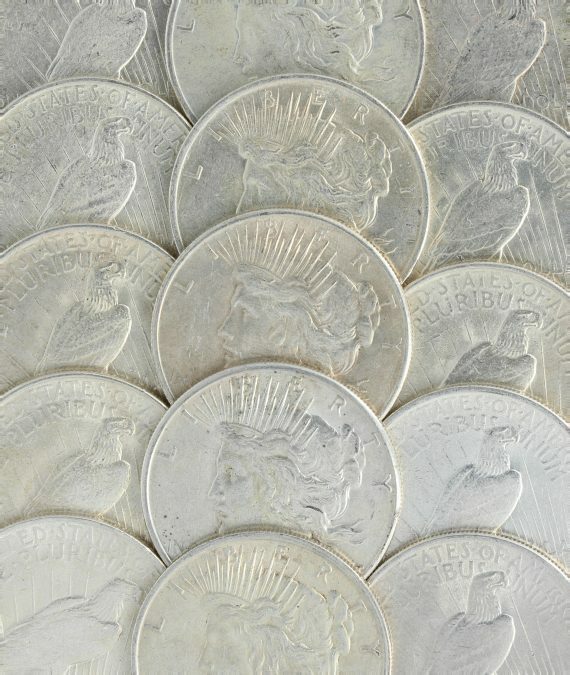 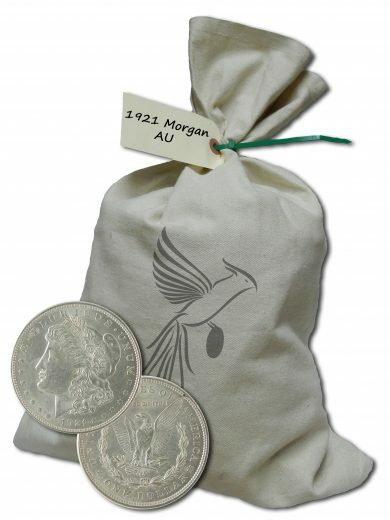 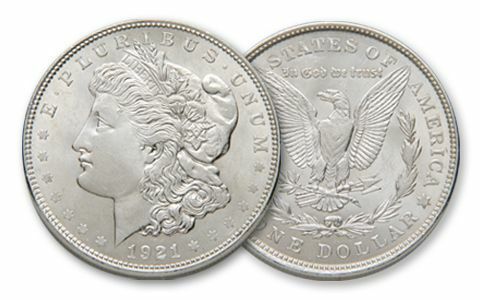 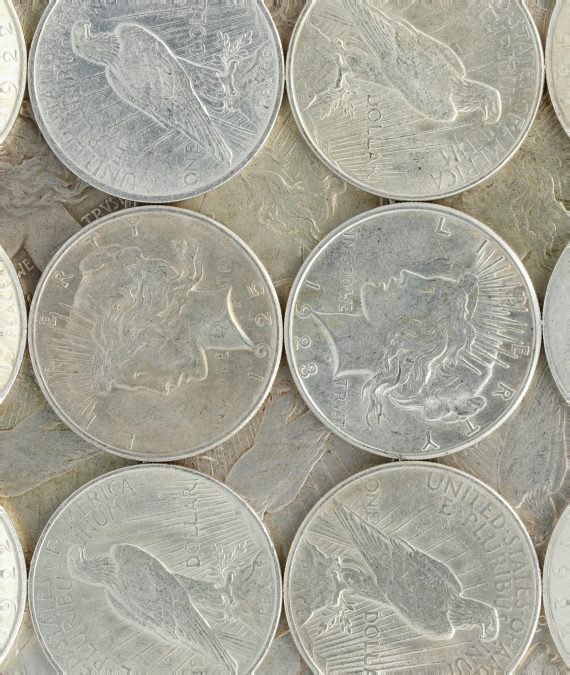 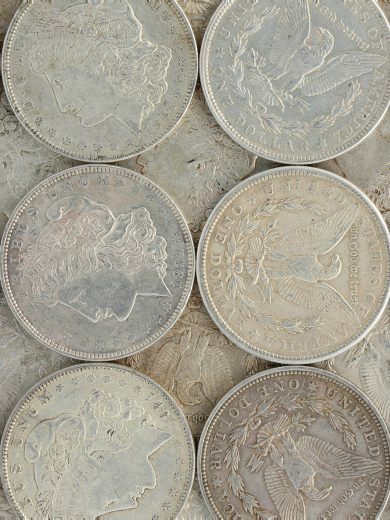 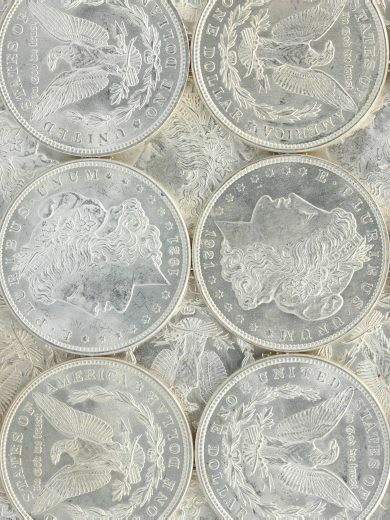 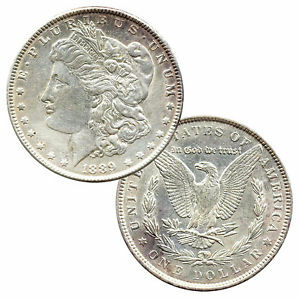 The Silver Peace dollar is the US Coin design that was released following the Silver Morgan Dollar and is also the last Silver dollar that the United States Mint had intended for circulation. 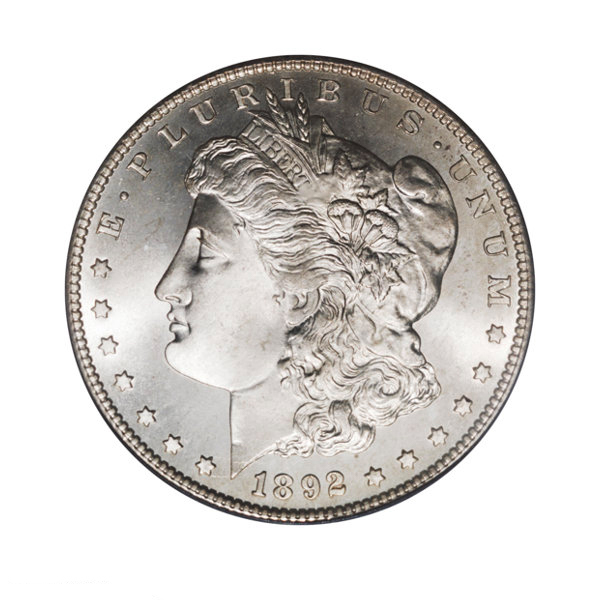 The obverse displays the head and neck of the Goddess of Liberty bearing a spiked. 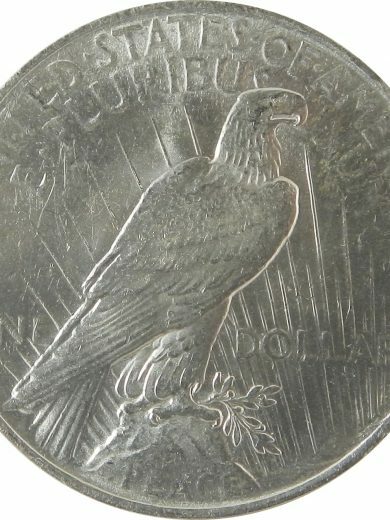 The reverse depicts the commonly used bald eagle, but rather than standing with its wings outstretched, it is perched atop a mountain. 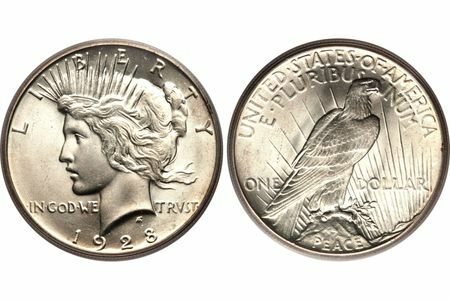 The Lady Liberty Peace Dollar was minted in three different mints; Philadelphia, Denver, and San Francisco. 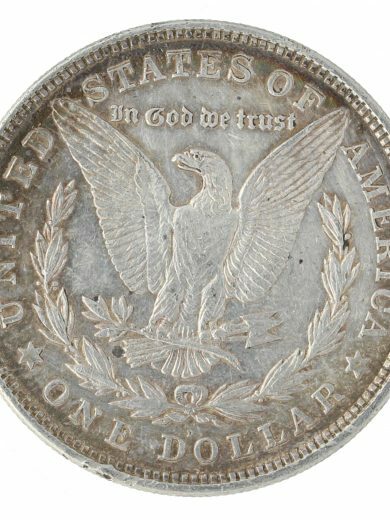 Philadelphia minted 111,230,179 total coins, which far more than the other locations. By year, the 1922 (51,737,000) and the 1923 (30,800,000) Peace Dollars had the largest two mintages at the Philadelphia mint. 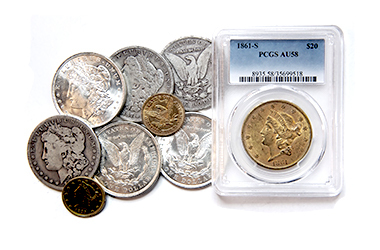 In comparison, the 1924 (11,811,000) and 1925 (10,198,000) Philadelphia minted dates are still considered common, but had a much smaller mintage which results in trading at larger premiums in some grades. 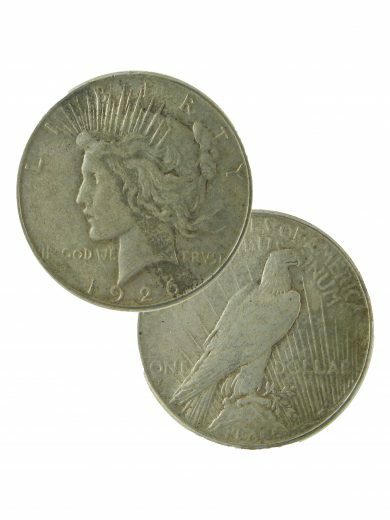 Nearly all of the Denver and San Francisco minted Peace Dollars had smaller mintages than Philadelphia examples.